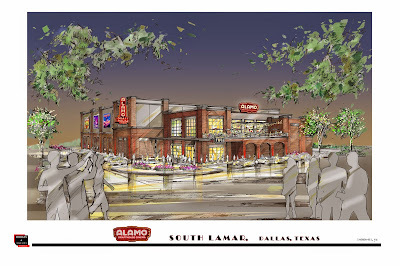 Dallas – July 8, 2014—Alamo Drafthouse Cinema is pleased to unveil plans for a second location in North Texas. The eight-screen theater, and Glass Half Full Taproom, will be owned and operated by Two is One, One is None LLC, the DFW franchise partner of the Alamo Drafthouse that also owns the Alamo in Richardson. 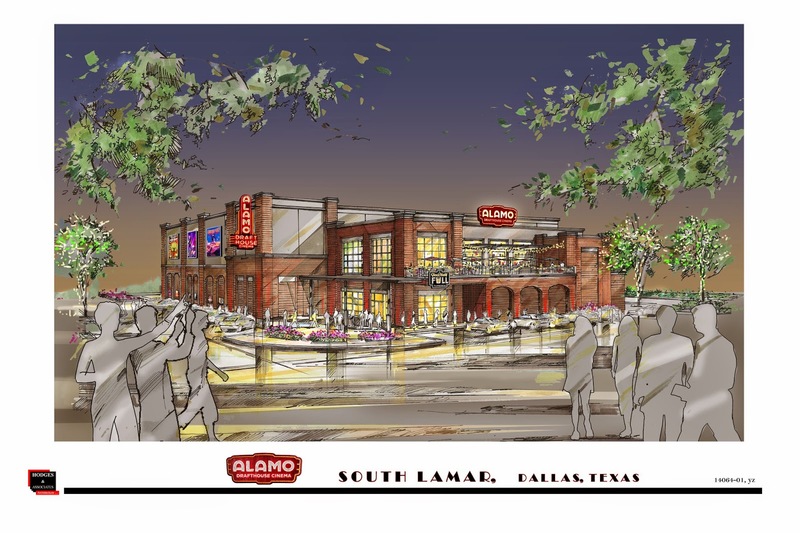 Alamo Drafthouse Cinema will become a part of the South Side Lamar District, joining the NYLO Hotel, SODA bar, The Cedars Social, Gilley’s, Full Circle Tavern, Southside Ballroom, Terrace Bistro, Opening Bell Coffee, Poor David's Pub and Bill’s Records. The theater will open mid-2015 at the Southwest corner of South Lamar and Cadiz Streets in Dallas – halfway between the new Omni Dallas and the award-winning South Side on Lamar. “We’ve had our eye on a South Lamar location since entering the North Texas market. Everything about downtown and South Dallas dovetails perfectly with the Alamo brand. The convergence of Chef-driven restaurants, food trucks, craft breweries, the Arts District, and homegrown/local retail are all complimentary characteristics of Alamo culture and lifestyle. Another exciting aspect is the partnerships we can form with local entrepreneurs. In Richardson, we’re already partnering with local businesses like Dude, Sweet Chocolate, Oak Cliff Coffee Roasters and various breweries; Community, Deep Ellum, Four Corners and Peticolas to name a few. Now we can expand these relationships and form new ones with a location in the heart of Dallas,” said Bill DiGaetano, Alamo Drafthouse DFW Owner and COO. In addition to in-theater dining, Alamo Dallas will feature a second level Glass Half Full Taproom with two patios and a panoramic view of downtown. The Glass Half Full Taproom and patios will have seating for 200 people and feature an extensive menu of 32 craft beers on tap; over 35 bottled beers, wine, cocktails and freshly made food. The lounge will offer patrons an inviting place to socialize whether waiting for a movie or simply coming to sample scratch-made menu items, cocktails or local craft beers. Antique brick salvaged from other buildings in the South Side area will be used both inside and outside of the theater as homage to the great history in downtown Dallas.